IT'S been five years since he shot onto the musical radar with the chart-topping and thought-provoking single Serious Times. Since then he has racked up a handful of minor hits including Mama Don't Cry, I Can Feel Your Pain and Beautiful Lady. Now singer Gyptian and record label VP Records have thrown their muscle behind his latest hit Hold Yuh, which is currently heating up crossover radio stations stateside. Hold Yuh, which was recorded two years ago, was produced by Ricky Blaze. "Hold Yuh is more like a vibes song. Is a natural reggae song that combines a mixture of everything," Gyptian said in an interview on the set of the video shoot for the single. Hold Yuh is already in the top five on influential urban radio station Hot 97 FM's playlist. According to Cristy Barber, vice president for Marketing and Promotions at VP Records, the radio story for Hold Yuh has just begun. "The digital single is number two on I-tunes and the track is getting a lot of attention at crossover radio in America right now. It's a simple reggae song with that crossover vibe to it and we're getting the video done to capitalise on the potential of the song." Not much has been heard of Gyptian in recent times; however, he remains quite active performing overseas at regular intervals as well as recording for various producers. 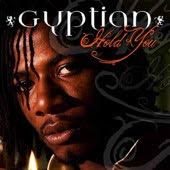 Asked whether he was surprised at the reception that Hold Yuh has been receiving stateside, Gyptian said, "My song dem always a tek off outside of Jamaica before getting any attention in Jamaica. So it's not a surprise to me really." Barber pointed to the fact that locally radio stations have not supported Hold Yuh. "The song isn't getting any mileage, in Jamaica but on the other hand, its getting lots of attention in America and across the Caribbean. The song has gotten around 500 hits on YouTube within the past week." Gyptian is already working on his third album for VP. The album is tentatively titled Hold Yuh. Jus One, FX and Ricky Blaze are the producers who have already contributed to the project. "We're looking at dropping the album around July and if everyone in Jamaica buys a copy, I am sure it can sell a million," Gyptian said jokingly. Asked what fans can expect on the forthcoming album, Gyptian said, "More versatility, growth and the progress that Gyptian has made lyrically."